I’ll never forget the first convention I ever went to: the Japantown Anime Fair (also known as JTAF) in San Francisco in 2004. Despite attendance in the low-thousands, they were able to secure some high-level talent including Matt Greenfield (head of ADV films at the time) and Tiffany Grant (voice of Neon Genesis Evangelion’s Asuka). There was a Dance Dance Revolution competition in the lower levels, a handful of screening rooms showcasing the biggest shows at the time, and since it was being hosted in SF’s Japan Center, no shortage of Japanese shops and souvenirs. Perhaps most amusing was its “exhibit hall” – a medium-sized conference room with maybe 20-25 vendors of questionable background. I recall being so impressed that there was a DVD release for the recently released Final Fantasy VII: Advent Children (it was a bootleg copy, of course). Since it was my first time at a show I wasn’t sure what to expect, and to this day my friends have no issue giving me a hard time my amazement at how “big” it seemed. Having attended larger shows such as Fanime, JTAF was quaint at best from their perspective. Indeed, when I ended up attending Fanime about 8 months later the difference was staggering. In that moment, however, JTAF represented the entirety of my “convention” experience: a tiny show hosted in a single hotel and mall-space. Walking into NYCC’s off-site anime convention, Anime Fest, I couldn’t help but feel a wave of nostalgia sweep over me as I glanced over the warehouse floor. You see, on Thursday I had an interview lined up with Collateral Damage Studios – a graphic design firm that does custom character design and artwork for clients, including Anime Expo and, yes, Anime Fest. So, I stepped away from one of the largest conventions in the country, walking just over a mile away to Pier 94 and walked into the open warehouse. The difference was like getting splashed in the face with a bucket of cold water. The first thing you noticed was the empty space. High ceilings, industrial design…there was a lot of emptiness on the floor, punctured by tables, chairs, booths. Like trying to fill an oversized house with furniture from your studio apartment, I couldn’t help but feel that the space was too much for Anime Fest to fill adequately. This resulted in some odd spaces that only exacerbated the perception. Wandering through the hall, I noticed there were a couple notable vendors, such as GoodSmile, but their booths were painfully small and had hardly any merchandise. The lions share of the vendors were independent artists, many of whom had invested some serious cash for travel, not to mention a booth that was seeing a fraction of the expected traffic. Thursday was painfully empty, and while things picked up on Friday and peaked on Saturday with a “sold out” show, aside from the handful of exclusive panels on the main stage that drew interest and attendees, the show still drew a lot of criticism and concern from fans who purchased tickets. The criticism expanded even further when older fans reflected on the fact that younger attendees wouldn’t know to expect any better. 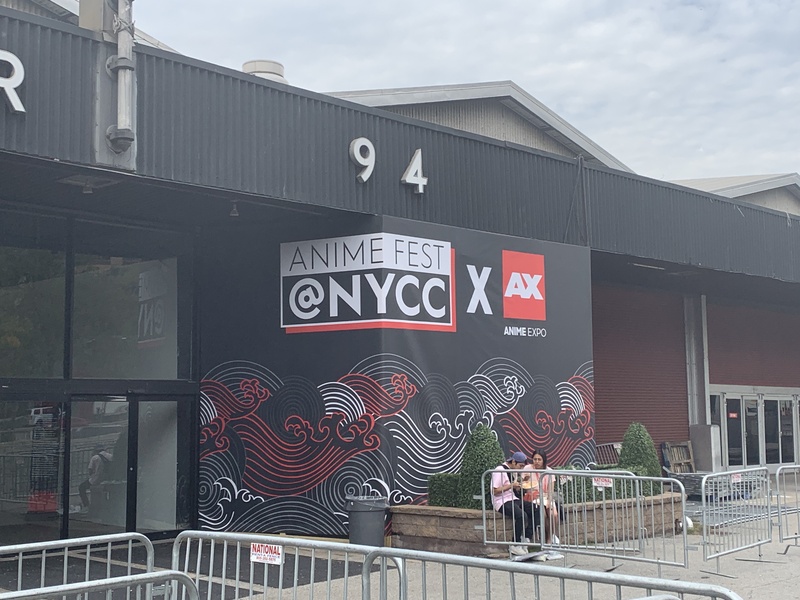 There were certainly logistical issues that kept Anime Fest from fulfilling its desired potential, not the least of which was the fact that it was announced relatively late in the planning phase of NYCC. According to Anime News Network’s reporting on the event, many vendors had already purchased space at Javits for NYCC when Anime Fest was announced. If they wanted to showcase at Anime Fest, they would have to pay for an additional space, which some companies did, but for others they wrote it off and remained committed to their original plans. As a result of the series of unfortunate events & timing in the months prior, Anime Fest had a rough start as a convention. The timing, venue, and lack of vendors contributed to a lackluster experience for many involved. Here’s hoping that they learn from their mistakes this year and deliver something great for fans in the years to come!